Apple is the target of yet another patent lawsuit, as a Texas-based telecommunications firm is suing the iPhone maker over the call forwarding feature built into the iPhone 4S and iPhone 5. Bluebonnet Telecommunications filed suit against Apple on Tuesday, claiming that the Cupertino company infringed on U.S. Patent No. 5,485,511, which covers a "method and apparatus for determining the telephony features assigned to a telephone." Bluebonnet has held the 511 patent since June of 1996, and the company alleges that "Apple ... offered for sale products and/or systems (including at least the iPhone 4S and iPhone 5) that infringed one or more claims of the 511 patent." The suit further holds that Apple "induces end-user customers" to use the iPhone 4S and iPhone 5 in a way that infringes the 511 patent. The company, Bluebonnet holds, does so by explaining the devices' features and touting said features. In the 511 patent  which used to belong to Siemens Rolm Communications  a telephone communicates with a central switch to generate a list of assigned telephony features. A device can then display those features to a user in order to demonstrate which features are available to the user at the time. 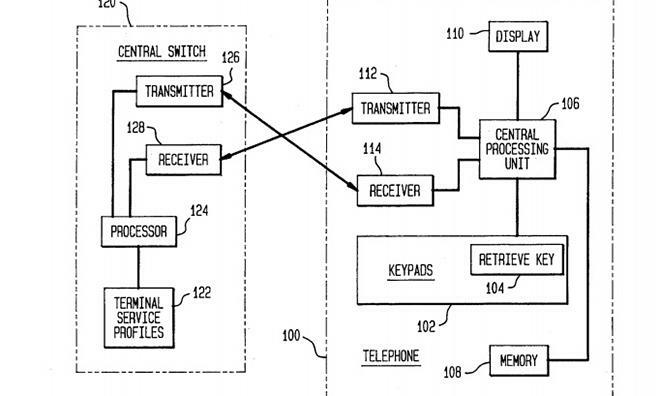 Bluebonnet's suit claims that Apple's call forwarding feature infringes on this patent. While the suit does not go into detail regarding the manner in which the features violate the patent, it does state that "the accused features that allow call forwarding have no practical use other than uses that infringe the 511 patent." Bluebonnet is seeking a permanent injunction enjoining Apple from infringing the 511 patent, along with financial damages resulting from the infringement. The company is also requesting pre-judgment and post-judgment interest on "the damage caused by Apple's infringing activities and other conduct." The case  Civil Action No. 2:13-cv-00513  was filed in the U.S. District Court for the Eastern District of Texas. No judge has yet been assigned.